March 14, 2019, 6:00 PM, the Democratic Women’s Club will meet at the Housing Authority in Marshall, NC. They will be accepting membership dues of $20.00 for women & $10.00 for any man wishing to join. Dues need to be in by the end of March. The Women Club is not having a Pot Luck membership drive this year. If you are unable to attend this meeting, you can mail your membership dues to Sherie Hill, 592 Tweed Rd., Marshall, NC 28753 The Club is still looking for someone to be Vice Chair or secretary. February 21, 2019, 6:00 PM, the Democratic Women’s Club will meet at the Housing Authority in Marshall, NC. They will be accepting membership dues of $20.00 and forming a committee to search for new officers. A celebration of Jane’s life will be held at 11:00 a.m. on Thursday, February 14, 2019 at First United Methodist Church of Waynesville with Reverend Keith Turman, Bishop Charlene Payne Kammerer and Reverend Kathy Wilson officiating. Burial will follow the service at Greenhill Cemetery. Serving as pallbearers will be Lawrence Braxton, Floyd Rogers, Jeff Haynes, Roy Wijiwickrama, Ben Williams and Carolyn Smith. Honorary pallbearers will be Hugh Burford and Jimmy Pennell. The family will receive friends from 5:00 until 8:00 p.m. on Wednesday evening February 13, 2019 at Wells Events and Reception Center. North Marshall Precinct Meeting CHANGED TO: Thursday, February 14, 6:30 PM at Madison High School, to elect delegates to the Madison County Convention. The Laurel Precinct will have a precinct meeting on Saturday, February 9, 2019, at 5:00 PM in the Laurel School Building. The North Marshall Precinct will have a precinct meeting on Tuesday, February 12, 2019, 6:30 PM at Madison High School. Thursday, February 14, 2019, will a make-up date at the same time and location. The Annual Precinct Meetings shall be held at the polling place of each precinct or at a nearby location approved by the County Chair between February 4 -18, 2019. The times for these meetings are as follows: weekday Precinct meetings shall begin no earlier than 6:00 PM and no later than 7:30 PM. Weekend meetings shall be held between the hours of 10:00 AM and 7:00 PM, as stated in The NC Democratic Party Plan of Organization. The Madison County 2019 Convention will be held March 23, 2019 at the Madison County Courthouse, Courtroom. The alternative date will be March 30, 2019, at the same time and location. April 27, 2019, the 11th District Democratic Party Annual Convention will be held. Time and location to be announced later. June 8, 2019, The NC Democratic Party State Executive Committee Meeting and Unity Dinner will be held in Raleigh. January 28, 2019, at 6:00 PM the Madison County Democrat Executive Committee will meet at the Madison County Courthouse in the Courtroom. The Executive Committee will recommend three Madison County Democratic nominates to serve on the Madison County Board of Election. Following the Executive Committee meeting, there will be a meeting of the Precinct Chairs to review the 2019 Precinct Chair Packet. The Annual Precinct Meetings shall be held at the polling place of each precinct or at a nearby location approved by the County Chair between February 4 -18, 2019. The times for these meeting are as follows: Weekday precinct meetings shall begin no earlier than 6:00 PM and no later than 7:30 PM. Weekend meetings shall be held between the hours of 10:00 AM and 7:00 PM, as stated in The NC Democratic Party Plan of Organization. Canvas for the Nov. 6, 2018, Election will be Nov. 16, 2018, 11:00 AM, at the Madison County NC Board of Election — relocated office off Roberts Hill Road, Marshall, NC. September 22, 2018, an Apple Butter Festival, from 8:00 AM – 2:00 PM, at Ebbs Chapel. Everyone Invited! 11th Congressional District Website: Check their website for Meeting updates and District information. There will be a Chili Cook-Off on September 8, 2018, from 4:00 – 7:00 PM at the Madison County Cooperative Extension Building. Cost $10.00 or a Donation. Rhonda Rally on Saturday, August 4, 2018, from 4:00 – 7:00 PM, at Mars Hill Recreation Park, 690 Park Drive, Mars Hill, NC 28754. Come meet Democratic Party Candidates, Enjoy the food, Visit with Neighbors, and Enjoy Great Music. 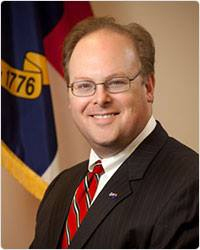 The Madison County Democratic Party is hosting a Tri-County Reception for Wayne Goodwin, Chair of the NC Democratic Party. Mr. Goodwin will be speaking on behalf of Rhonda Schandevel and our other Democratic candidates. in Mars Hill Monday, July 23rd! ALL 12 Voting Sites Across Madison County will be OPEN on May 8, 2018! Madison County Executive Committee meetings will be on May 17, & June 21, 2018, 6:00 PM, in the Small Room at the Madison County Cooperative Extension Building, Marshall, NC. Mars Hill Precinct Meeting: May 3, 2018, 6:00 PM at Broyhill Social Hall, Mars Hill University. Will be discussing preparations needed to have a precinct ready for the May 8th Primary Election and how Get out The Vote is progressing across the County. EVERYONE is invited! You do not have to live in the Mars Hill Precinct. 2018 11th District Convention will be held on Saturday, May 5, 2018, with registration at 11:00 AM, the convention will begin at noon in the Charles M. Beall Auditorium at Haywood Community College, 185 Freedlander Drive in Clyde, NC. Meeting Update: The Madison County Democratic Committee has rescheduled the meeting scheduled for Wed. April 25, 2018, to Thursday, April 26, 2018, 6:00 PM, at the Madison County Courthouse, due to the death & visitation of Johnny Payne. This meeting is to hear from our local candidates running for Commissioner & School Board Chair. Please come out to listen and support our candidates running for Democratic Office! We’re exciting to launch the first District 11 training sessions for Democratic County and Precinct officers! This training has been developed to provide valuable resources for County Parties to grow into a sustainable organization and be prepared to get-out-the-vote for all Democratic candidates at all times! As we certainly feel and know, 2018 is a very, very important election year. Across the country we’re seeing a Blue Wave of Democrats being elected at all levels of government. But that’s not happening by accident! It a direct result of strong, Democratic County Party Organization! County Parties need to function 365 days every year. That means recruiting volunteers, fundraising, maintaining voter files, and being aware of issues that affect all people in our communities. MARK YOUR CALENDAR! Please make every effort to have all County and Precinct Officers and “key” volunteers in attendance. Campaign volunteers are welcome to attend “Listening” & VoteBuilder. Sorry, but we’re unable to offer this training to groups such as Our Revolution, Indivisible, etc. 9:00am – Precinct 101: Basic literacy for county and precinct organization. Learn how to build a year-round, functional, and sustainable organization to supporting campaigns’ Get-Out-The-Vote efforts. 11:00am – Listening: In today’s political climate it has become increasingly more difficult to have civil conversations when we disagree. Participants will learn to how to ask open-ended questions and have a dialogue which can lead to a fuller understanding of why a person feels and believes as they do. A light lunch will be provided as we continue training. 1) VoteBuilder: VoteBuilder is the best voter contact tool currently available. It allows us to organize our data, identify and talk to specific groups of voters that we need to target, manage our volunteer teams, and track our progress. By the end of this training you will be able to pull up voter profiles of individual voters; create targeted lists of voters to contact via phonebanking or canvassing; share lists with volunteers via VoteBuilder and PDF; and enter data gathered through phonebanking and canvassing into VoteBuilder. 2) Phone Bank / Canvass: Learn how to organize phone banks and canvasses for the purpose of recruiting volunteers, gathering data, and providing information that will lead to increased voter turnout for Democratic candidates. On April 21, 2018, at 4:00 – 7:00 PM the Ebbs Chapel Precinct will host a Meet & Greet Candidates Donation Dinner. Come out and meet candidates from the 11th District, 47th District, and Madison County Democratic Candidates. Each Candidate will be given 3 minutes to speak and then they can mingle. Food will be served – NO Charge — DONATIONS will be Appreciated — There will also be a Cake Auction! Madison County Executive Committee meeting at the Madison County Cooperative Extension Building on Carolina Lane in Marshall, NC on April 23, 2018, 6:00 PM to meet State Candidates & hear their Campaign Goals. Then on April 25, 2018, 6:00 PM, there will be an opportunity to hear from local candidates as they share their campaign goals. Everyone is encouraged to come out to meet, hear, and ask questions of each of these candidate’s as they discuss their campaign goals. The Democrats of the Revere -Rice Cove Community invites you to come and enjoy a country breakfast before, during or after you’re done fishing. You can dine in or takeout. This is not just for fishermen or Democrats, everyone is welcome to come out for a good breakfast and for visiting with one another. We welcome all candidates seeking public office. COST $ 8.00 per plate. Proceeds go to the Madison County Democratic Party. Scrambled Eggs, bacon, sausage, grits, biscuits, gravy and assorted jams and jellies. Beverages: Coffees, Orange and Apple juices. Madison County Democratic Women’s Club’s Pot Luck Dinner & Membership Drive will be on March 10, 2018, 6:00 PM at the Madison County Cooperative Extension Building, Marshall, NC. This will be our Annual Membership Drive, Annual Membership Cost, $20.00 Women, $10.00 Men. Everyone Invited — No cost for attendance — You are encouraged to join our Club — We welcome ALL Democratic Candidates running for office, Come and share your Election Goals with us. Everyone: Please bring your favorite DISH for us to share! Madison County Democratic Party County Convention: March 24, 2018, at 10:00 AM, at the Madison County Courthouse in the Courtroom. Mars Hill Dems Precinct Meeting will be Feb. 19th at 6:00 PM in the Mars Hill Elementary School. South Marshall Precinct Meeting will be Feb. 19th at 6:00 PM in the Polling Location. Madison County Executive Meeting scheduled for Feb. 15th has been CANCELED due to Flu in Madison County. Precinct Organization Period – February 5th-February 19th 2018. CAR Show 🚗 CANCELED 🚗 will be re-scheduled in the Spring! Car Show, October 28, 2017, 9:00-11:00 AM, Cinco de Mayo Restaurant, Marshall, Walnut Creek Rd. Democrat Executive Committee Meeting: October 26, 2017, 6:00 PM at theMadison County Cooperative Extension Building just outside Marshall. Special Guest: Kathy Sinclair. We are very pleased to have Kathy Sinclair as our Guest Speaker. Kathy chairs the District 11 Democrats and will present the new Strategic Plan that she believes can take us to victory next year. environmental organizations, and citizens across the country. to this very important meeting! New Meeting Location for MC Democratic Executive Committee Meetings will be at the Madison County Cooperative Extension Building! Invitation! Please join Willa Wyatt and her family as she is sworn in by the Honorable Larry Leake to serve as a member of the North Carolina State Social Services Commission representing the Eleventh Congressional District Wednesday, May 31, 2017, 6:00 pm at Mars Hill Baptist Church Sanctuary, 67 North Main Street, Mars Hill, NC. Democratic Women, Please Act Quickly! Join us for the Democratic Women’s Region One Annual Meeting, from 11-3 p.m. on Saturday, June 3, 2017, at the Governor’s Western Residence, (45 Patton Mountain Road, directions below), in Asheville. Our guest speaker will be the First Lady of North Carolina, Kristin Cooper. Please carpool— Parking is limited to 50 spaces so you will need to carpool with others. Please dress casually- We will be using an outdoor, covered pavilion at the residence — rain or shine — so bring an umbrella if it looks stormy. Sorry, no rain date is available. Please bring a silent auction item– each Democratic Women’s Club is asked to bring an item worth at least $25.00 for the silent auction. We will also be accepting separate cash donations for Manna Food Bank. Please consider serving as a regional officer— we will be electing new officers for two-year terms. Contact Nancy Francis at 828-456-5253 if you are interested! Directions to the Western Residence— From I-240, take the Charlotte Street exit. Go south on Charlotte Street (toward downtown) for one block. Turn left on Town Mountain Road and continue up and around Town Mountain for 2.3 miles. Turn left on Patton Mountain Road. the entrance is .2 miles on the right. Copyright © 2017 Region 1 Democratic Women, All rights reserved. Democrat Executive Committee Meetings — The Executive Committee will meet at the Madison County Court House in the Courtroom, Marshall, NC. This is an open meeting and ALL Democrats are welcome! JUNE 3, 2017: HOLD THIS DATE! The Officers of Democratic Women of North Carolina Region One invite you to the Annual Meeting on June 3, 2017, from 11:00 a.m. to 2:00 p.m. at the Governor’s Western Residence at 45 Patton Mountain Road in Asheville. Our special guest will be Mrs. Kristin Cooper, First Lady of the State of North Carolina. The meeting will feature a box lunch and refreshments. More information about tickets to this event will be coming soon! May 20, 2017: 11th District Democratic Convention will meet at Haywood Community College on May 20, 2017, from 10:00 am until 12:00 pm. The Convention will be in the Beale Auditorium at Haywood Community College, 185 Freedlander Drive, Clyde, N.C. 28721. Registration will be from 10:00 -11:00 am. The meeting will begin at 11:00 am. The agenda will include the election of officers and consideration of county party resolutions passed at county conventions. PLEASE NOTE: ONLY delegates elected/chosen at their County Conventions will be able to vote on party business. The Party Plan of Organization does not allow proxies at District Conventions. ONLY the names of delegates turned into the NC Democratic Party (which will be provided to us for registration) will be allowed to vote. However, all registered Democrats are invited to attend the District Convention. May 20, 2017: 2017 Liston B. Ramsey Gala will be on May 20, 2017, at Mars Hill University, Chartwells Pittman Dining Facility, at 6:00 pm. Registration will begin at 5:15 p.m. and dinner will begin at 6:00 p.m. Join Democrats for a good meal and good conversation. (Any questions– please contact Jeanne Styles at jmrstyles@yahoo.com or Willa Wyatt at wwyatt@frontier.com). Click for: Precinct Questions and Answerson Precincts Page. The Madison County 2019 County Convention will be held March 23, 2019, at 10:00 AM in the Madison County Courthouse, Courtroom. The alternative date will be March 30, 2019, at the same time and location.